Cadbury Bournvita Chocolate Health Drink is a malted chocolate drink mix which contains a unique blend of Vitamin (D, B2, B9,B12) Iron and Calcium. Formulated with rich chocolate flavour it helps in providing essential nutrients and minerals which promote physical and mental development. It has been clinically proven to increase the levels of vitamins and iron in our body. It makes a nutritious drink with milk and can be consumed as both hot and cold drink. 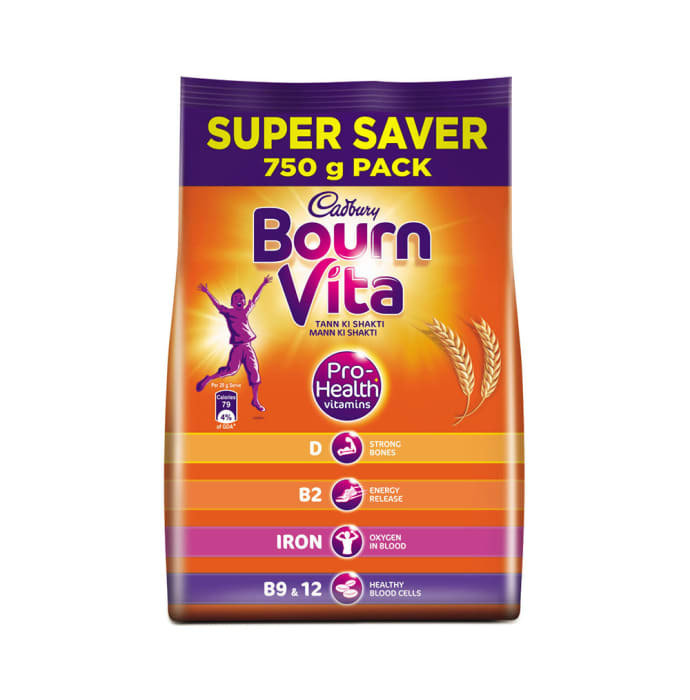 Take 1-2 teaspoons of Bournvita and add to a cup of hot or cold milk with sugar. Suggested to take two times a day for best results.